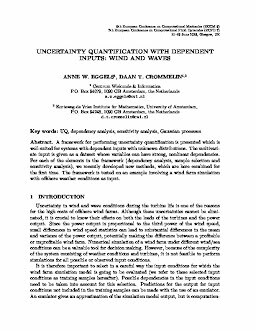 A framework for performing uncertainty quantification is presented which is well-suited for systems with dependent inputs with unknown distributions. The multivariate input is given as a dataset whose variables can have strong, nonlinear dependencies. For each of the elements in the framework (dependency analysis, sample selection and sensitivity analysis), we recently developed new methods, which are here combined for the first time. The framework is tested on an example involving a wind farm simulation with offshore weather conditions as input.